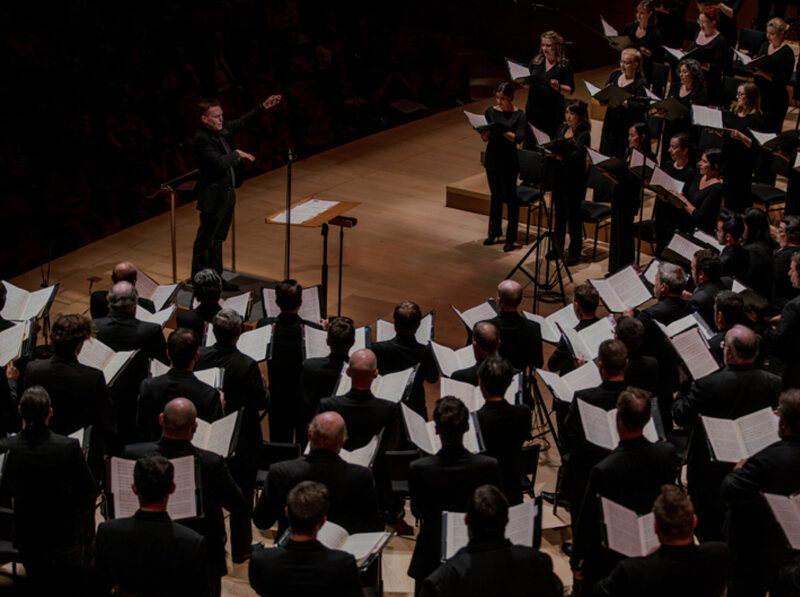 The Los Angeles Master Chorale is widely recognized as the country’s leading professional choir and one of Southern California’s most vibrant cultural treasures. Hailed for its powerful performances, technical precision, and artistic daring, the Master Chorale is led by Grant Gershon, Kiki & David Gindler Artistic Director, and Jean Davidson, President & CEO. 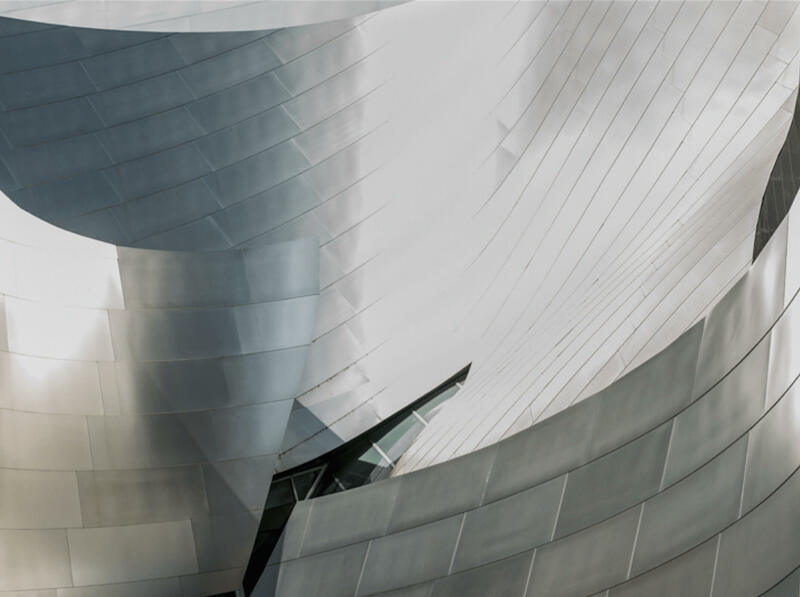 Created by legendary conductor Roger Wagner in 1964, it is a founding resident company of The Music Center and choir-in-residence at Walt Disney Concert Hall. Chorister positions are highly sought after and the fully professional choir is a diverse and vocally dynamic group showcasing the many voices of L.A.
Presenting its own concert series each season, the Los Angeles Master Chorale performs choral music from the earliest writings to contemporary compositions striking a balance between innovation and tradition. To date, the Master Chorale has commissioned 52 and premiered 100 new works, of which 68 were world premieres. It has had two Composers-in-Residence, Morten Lauridsen (1994-2001) and Shawn Kirchner (2012-2015). Gershon and the Master Chorale regularly commission and champion works by Los Angeles composers including Grammy Award-winning Eric Whitacre who is currently the choir’s Swan Family Artist-in-Residence. The Master Chorale has been awarded three ASCAP/Chorus America Awards for Adventurous Programming as well as Chorus America’s prestigious Margaret Hillis Award for Choral Excellence. In 2017 it was inducted into the American Classical Music Hall of Fame. During its 55th season, nine concert programs will be presented in Walt Disney Concert Hall from September 2018 through May 2019. The season includes the world premiere of Eric Whitacre’s concert-length work The Sacred Veil to be conducted by Whitacre himself, and the West Coast premiere of Reena Esmail’s acclaimed This Love Between Us: Prayers for Unity on a program with Bach’s Magnificat conducted by Gershon. Fellow Los Angeles composers Shawn Kirchner and Dale Trumbore will also have works on subscription series programs: Kirchner’s Songs of Ascent—commissioned and premiered by the Master Chorale in 2015—features with the Mozart Requiem on the season-opening program conducted by Gershon, and Trumbore’s award-winning How to Go On features with Maurice Duruflé’s Requiem on a program conducted by Associate Conductor Jenny Wong. The season concludes with a concert of Great Opera and Film Choruses celebrating the singers’ and Gershon’s mastery in the fields of opera and film. Christmas offerings include an English Cathedral Christmas program celebrating the British advent caroling tradition alongside the Master Chorale’s annual Festival of Carols and Messiah performances. The rostered Los Angeles Master Chorale Orchestra will feature on seven of the nine concert programs. The Los Angeles Master Chorale has performed in more than 500 concerts with the Los Angeles Philharmonic at both Disney Hall and the Hollywood Bowl, and has toured with the orchestra to Europe and New York City. Performances in the orchestra’s 2018/19 centennial season include a Stanley Kubrick-themed program with Jessica Cottis, Charles Ives’ A Symphony: New England Holidays with Michael Tilson Thomas, two programs of Stravinsky works called “Faith” and “Myths” with Esa-Pekka Salonen, the U.S. premiere of Tan Dun’s Buddha Passion, Masses by Haydn and Beethoven, and Mahler’s Eighth Symphony with Gustavo Dudamel. Praised for its definitive performances, the Los Angeles Master Chorale is also committed to recording the choral repertoire. Its esteemed discography includes seven recordings under Gershon, the most recent being the national anthems/the little match girl passion by David Lang on Cantaloupe Records. Albums released under former Music Director Paul Salamunovich on RCM include the Grammy-nominated Lauridsen: Lux Aeterna, a recording that helped to secure the work’s place as a modern masterpiece. The Master Chorale is featured with Gershon on the soundtracks of many major motion pictures, including Star Wars: The Last Jedi and is further heard beyond the concert hall via broadcasts by Southern California’s Classical KUSC. Committed to community engagement and fostering music education in schools, the Los Angeles Master Chorale’s education programs include Voices Within residencies that encourage students to write and perform their own songs, and an expansive Oratorio Project for high school students. The Master Chorale also presents an annual High School Choir Festival, which brings teenagers from around the Southland to perform in Walt Disney Concert Hall. In 2019 the High School Choir Festival will celebrate 30 years as one of the longest-running and wide-reaching arts education programs in Southern California. In July 2018 the Master Chorale presented Big Sing California, the largest group singing event in state history, encompassing a concert in Disney Hall that was broadcast live to venues in five other cities in California and livestreamed online. Expanding and transforming the artistry of voice. We are an independent and innovative professional vocal ensemble that shares the traditional and evolving spectrum of choral music with the widest possible audience. We advance this art through performance, community education, collaboration, commissioning and recording.